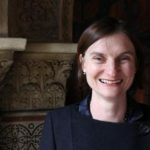 Recently the Church of England’s Director of cathedrals and church buildings, Janet worked at Sotheby’s, in the City and other commercial and not-for profit organisations. Janet has MA in History and History of Art from Cambridge, has published on church buildings and guided and lectured at the Victoria & Albert Museum. She was awarded an OBE for services to heritage in January 2017. She was appointed as a Trustee of the Priory at the beginning of July 2017.